The Mumbai Indians are today hosting at the Wankhede Stadium. The last time they met at the Wankhede Stadium, in the IPL 2018 the game was no less than a thriller as the home team won the game by three runs. The other game at the Holkar Stadium was also won by Rohit Sharma and men. As for now, the news from the centre in the Wankhede Stadium is that the Mumbai Indians have won the toss and has elected to bowl first. Siddhesh Lad to make his debut. MI vs KXIP, Live Cricket Score of IPL 2019 Match: Get Live Updates of Mumbai Indians vs Kings XI Punjab. Talking about the teams' IPL 2019 campaign, both Kings XI Punjab and Mumbai Indians enter the game, winning their previous matches. 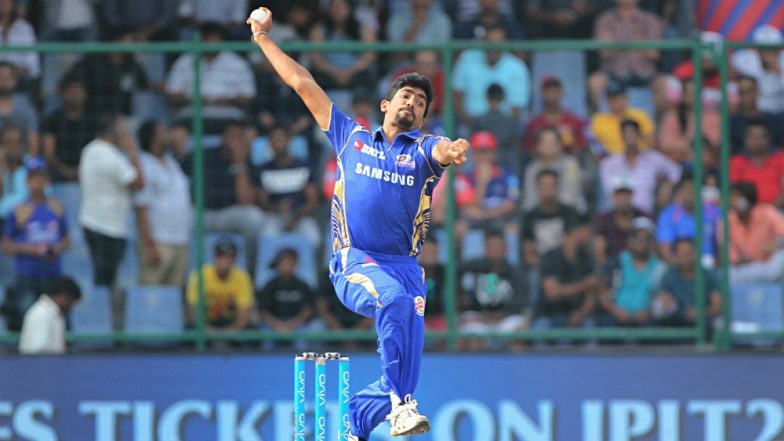 Mumbai Indians and Kings XI Punjab went on to beat the same opponent- Sunrisers Hyderabad. The Mumbai Indians beat SRH by 40 runs whereas KXIP went on to beat the Orange Army by six wickets. Siddhesh Lad makes his debut. Check out the video of the toss. Now let's have a look at the playing XI of the teams. One change: Lad replaces an injured Rohit. Stay tuned to our page for all the live updates of the match. MI vs KXIP, Live Cricket Score of IPL 2019 Match.